"Mario Strikers Charged, the Wii sequel to Super Mario Strikes, was shown next, with Donkey Kong, Bowser, and Mario powering up and kicking wild soccer balls across a dry, rocky field. It looked like the goalie controls brought up a pair of hands to block the ball as it sped toward the goal. Someone onstage then challenged one of the audience members to a 1-on-1 game with Mario and Bowser. The same dry, cracked field from the trailer we saw was the live field they were playing on. Huge leaves were blowing overhead, while lightning stuck the field at various times. As we had guessed from the demo trailer, when you make a kick on goal, a pair of gloved goalie hands pop up on-screen and you have to block the incoming balls with the Wii-mote in a mini-game. Depending on your success, you're treated to a cutscene of the action that mimics what happened in the mini-game. Next they noted that Battalion Wars 2, the Wii sequel to Battalion Wars, was at GC, and although Nintendo didn't show it onstage, it noted it would be playable after the press conference. It did show an extended Wii trailer which featured a lot of the games, but it's the same trailer we've seen before and didn't show any new gameplay. That pretty much concluded the press conference. 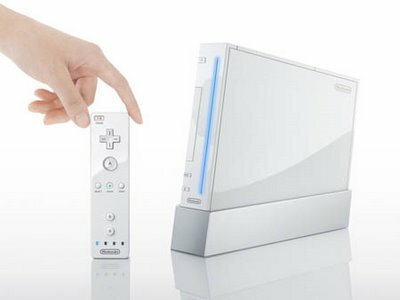 We'll bring you more hands-on reports of the Wii as soon as we have a chance to play some of the games."